OK, so maybe that graphic is a little dramatic… But it made you look, didn’t it? That’s the point! VA Loans continue to be the most misunderstood mortgage program in America. Only 15% of veterans take advantage of the benefits. What’s up with that? How can we assure our Veterans, Reservists and National Guard members get the benefits they deserve? We need to learn the facts. I asked one the Sandhill’s best Military Relocation Specialists, Sherry Shepherd from Key Mortgage in Southern Pines for some clarification. Here’s Sherry’s list of the most common myths about VA Loans and the truth behind them! Myth #1: Veterans only have one chance to use their VA home loan benefit. FACT: Veterans can use their benefit multiple times throughout their life. Actually, there’s no limit! And it is possible to have more that 1 VA loan at a time! Myth #2 VA loans are small and only ideal for starter homes. FACT: VA loans are widely available up to $1,000,000! FACT: VA loans can close fast! Myth #4: It’s too difficult to qualify for a government program. FACT: In some ways – VA loans are EASIER to qualify for. Numerous underwriting accommodations are made for veterans buying or refinancing a home with a VA loan. Myth #5: VA loans are too expensive with the upfront Funding Fee. FACT: Actually, when you do the math, a VA loan is often cheaper than FHA and Conventional loans! Myth #6: Members of the Reserves or National Guard are not eligible. 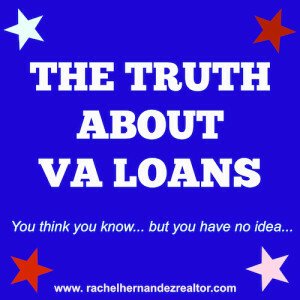 Myth #7: You think you know about VA Loans but you have no idea. FACT: This is no longer a myth since you made it to the end of the article. Click here to get a cookie!